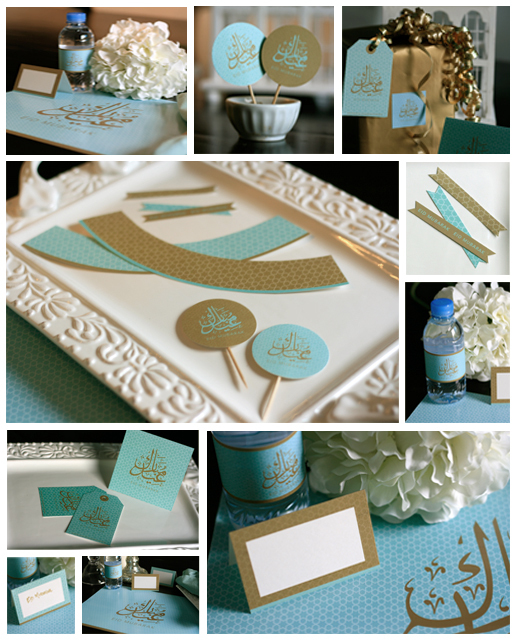 Join Paper Couture as we celebrate Eid three fold this season with cupcake, gift and dinner printable sets. Whether it's Eidi gifts, a set of cupcakes or a cosy lunch/dinner at home, we have it covered. I have used the color turquoise and set this off with gold to create a classy and elegant design that I feel, is in keeping with the granduer and opulence of both the city and Eid. Download our entire free printable set and add that special touch to your Eid celebrations. You are wonderful. Jazak Allah Khair! I am unable to download the file as well. Is there another link or possible a PDF you can provide? Hi all, apologies for the link not working. Thank you so much!! I really love all of these!! is not working is there a different site to print these lovelies from? Hi, in line with previous comments, the last link you've shared doesn't work. Is there an updated one please? Hello.. I am unable to download. Please advise. Thanks! I am unable to download it. Could you advise please. above mention link is not working can you give the update link address please. thanks. Yes can you please provide an updated link. The link provided is not working.